Home / .#Politics / #AmericanRoadRadio / #Europe.#Politics / #TrueNews / NATO / Russia / #TrueNews :Stop to Escalation of NATO's military and political activity in the immediate vicinity of Russia ! 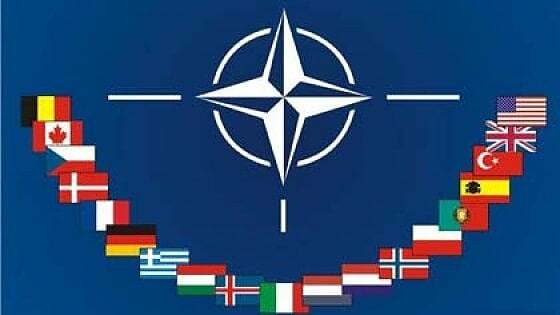 #TrueNews :Stop to Escalation of NATO's military and political activity in the immediate vicinity of Russia ! Amid ceaseless accusations of Russian aggression, NATO will deploy 45,000 troops to Northern Europe in what will be the alliance's largest "defensive" exercise since the end of the Cold War. Fifty aircraft, 70 vessels, and around 10,000 land vehicles will take part in NATO's Trident Juncture 18 drills, which are set to begin on October 25, with live field exercises continuing until November 7. Thirty-one allied countries and partners are slated to participate. 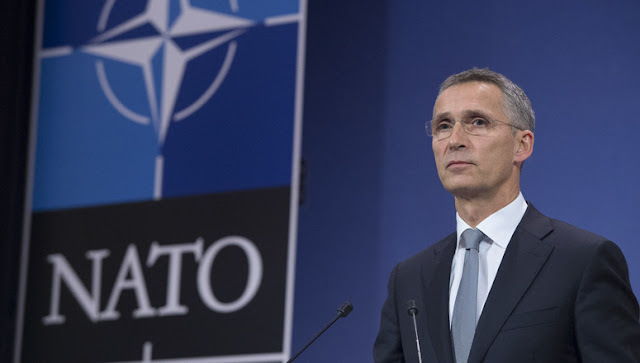 Secretary General Jens Stoltenberg described the massive military maneuvers as "defensive and transparent," adding that all members of the Organization for Security and Co-operation in Europe (OSCE), including Russia, had been invited to send observers. The drills will simulate the defense of a member state being attacked by a "fictional" aggressor, but the drills' set locations in Norway, Finland, and Sweden leave little to the imagination. Observers have noted this setting of this year's drills may have been prompted by the growing struggle with Russia for control of the strategically-vital Arctic. The drills will also test the alliance's ability to operate in cold weather – but it appears that at least some NATO states failed to properly prepare their troops for the chilly Norwegian weather: Around 1,000 Dutch soldiers set to take part in the drills were asked to shop on their own for suitable warm underwear, with the Dutch government reportedly giving each soldier €1,000 (US$1,167) to stock up on warm undies. AMERICAN ROAD RADIO : THE MAIN ROAD TO ROCK ! Although it's not the first Trident Juncture exercise, this year's drills will be larger than anything seen since at least the 1991 collapse of the Soviet Union. The Trident Juncture 2015 exercises, for example, involved 36,000 international troops accompanied by 60 warships and about 200 aircraft. including in the Baltic states and eastern Europe, since Crimea's reunification with Russia and the outbreak of conflict in eastern Ukraine in 2014. In the last few months alone, the alliance has held a number of high profile drills. In June, more than 18,000 soldiers from 19 countries took part in the two-week Saber Strike exercise, held in Poland and the Baltics. Then at the end of August, Latvia hosted the biggest war games ever staged on its territory since gaining its independence. Some 10,000 troops from more than a dozen NATO countries participated in the drills. Russian Foreign Ministry Spokeswoman Maria Zakharova commented earlier this week that "the escalation of NATO's military and political activity in the Arctic region, namely, in the immediate vicinity of Russia on the territory of northern Norway, hasn't gone unnoticed."